There are chartered flight routes available with Air Koryo (www.airkoryo.org), such as journeys from Pyongyang to remote sites like Paekdusan. All flights should be arranged through your tour company. Most tourists to North Korea travel the country by coach with their group, and all transport is arranged by your tour company. Public buses in Pyongyang are strictly for locals only. The quality of major roads is good; many are dual carriageways. It is quite possible you will travel in a coach from one city to another without seeing another vehicle on the road. Car hire is not possible in North Korea. 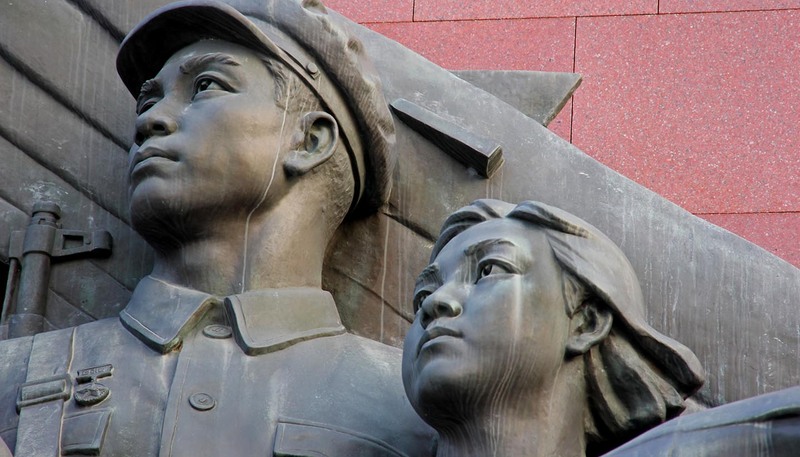 There are no taxi services for tourists in North Korea. International driving licences are not recognised in North Korea. If you wish to drive within the country, you need to sit a local driving test and obtain a local licence. All roads leading out of Pyongyang have police security checkpoints where you must produce identity documents before continuing the journey. Pyongyang has a metro system. However, while a carefully stage-managed five-station ride is on the itinerary of most visitors, it is rarely possible to use other forms of public transport. Although an extensive rail network was built by the Japanese during WWII, this has been slowly crumbling since the division of the Korean peninsula in the 1940s. There are still occasional train services running from Pyongyang to Chongjin, Sinuiju and Haeju, but as the timetables are not published and the trains are notoriously slow, it is hardly worth the effort.